Watch us wreck the mic, psych! I want to be the very best, like no one ever was. To watch the new Pokemon Rumble U trailer is my real test, to absorb it my cause. 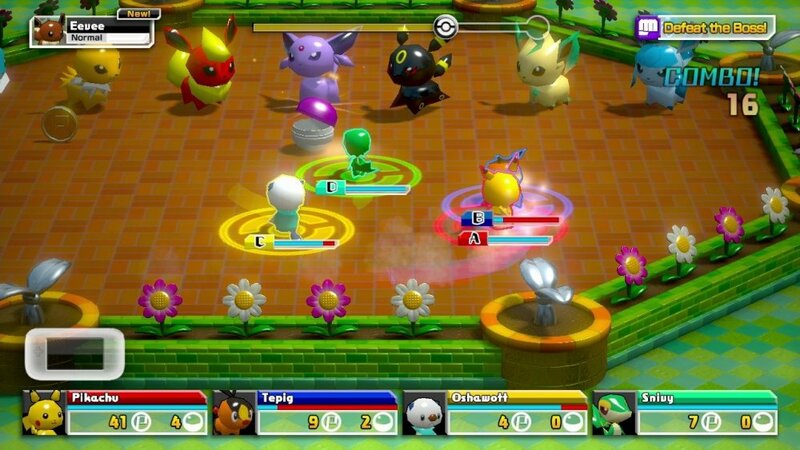 Pokemon Rumble U (4 player local co-op), it's you and me, I know it's my destiny. Pokemon Rumble U trailer, you show off the multiplayer, in a trailer we must defend. Pokemon Rumble U is already available in Japan, but the US will have to wait until August 29th to catch them at all. The game encourages you to buy Pokemon figurines and use them in your game with up to three allies. The new trailer shows how you import the figures into the game, as well as loads of in-game footage. Page created in 1.0164 seconds.